Bajaj No. 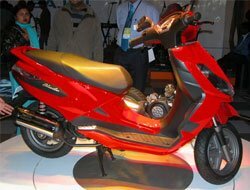 2 motorbike maker in India , would stop producing two-wheelers at a plant in Akurdi, Maharashtra from Sept. 1 as it shifts production to a new plant in Waluj near Aurangabad. 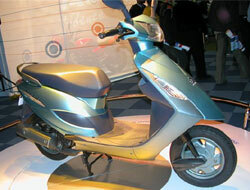 The Pune plant produces Kristal and some units of K-70 motorcycle. These will be shifted to Waluj from September 1. Bajaj’s corporate office will continue to remain at Akurdi. The 200-acre premises will also house an R&D centre and an export, purchase and financing office. An R&D and engineering centre will come up on 100 acres. Bajaj’s motorcycles are manufactured at Waluj, Chakan near Pune and Pantnagar in Uttarakhand, while the scooter Krystal is made at Akurdi. The company’s three-wheeler production is centred at Waluj.